Fabricated mild steel frame hot galvanized frame. 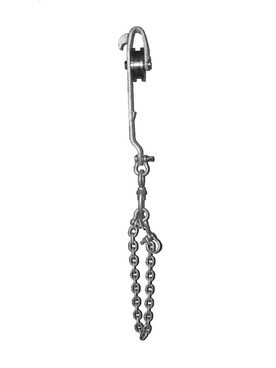 Chain fitted with a swivel link, connecting link and slip hook. Links sized to ensure easy slip and knot.